Josephine Attard was working in her Gżira shop this morning when she heard a noise “like an earthquake”. Within moments, the shop roof had caved in, metres away from where she was standing. A colleague was even closer, having been about to step into the back of the shop when the incident occurred. Nobody was injured in the collapse, which took place at around 10am. The incident appears to have been caused by a tower crane carrying out works on an adjacent construction site, which struck the nearby building and sent a load of bricks hurtling down onto the Rue D’Argens shop. 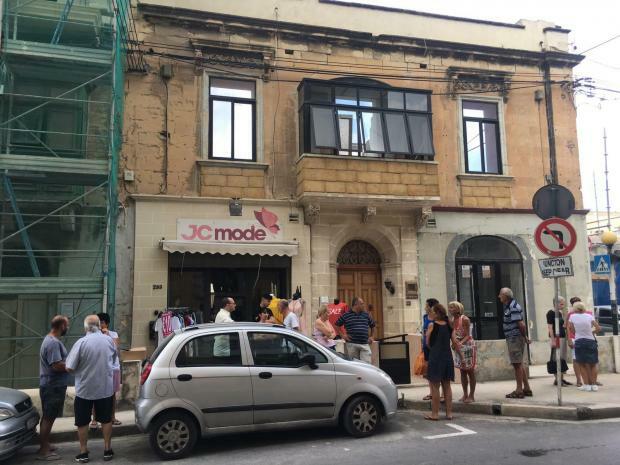 A visibly distraught Ms Attard told Times of Malta shortly afterwards she felt lucky to have escaped unharmed, although the damage to her shop will take months to repair, but was furious at the lack of adequate safety measures, which she feels is to blame for the incident. Gżira mayor Conrad Borg Manché, who was on site shortly after the incident, said safety issues were a growing concern as the town continued to be inundated with new developments. 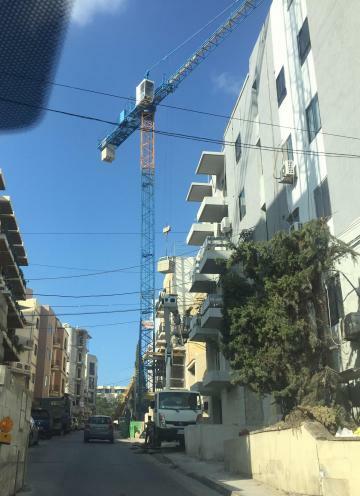 This tower crane in Msida was seen lifting bricks with cars driving underneath. The incident comes just a week after a 51-year old Sliema resident saw her bedroom roof cave in under the weight of bricks being transported onto an adjacent building. The woman fled the room just in time to avoid any injuries. Meanwhile, another tower crane was photographed this morning lifting bricks despite the moving traffic below. This picture was taken around 9.30am in the busy Triq Bieb it-Torri, close to Msida Circus.